Ash: Whatever you can't do, you can do it with a Pokémon pal. When you're with a Pokémon it's like your muscles and your mind get a lot stronger! And that's called Pokémon Power! Pokemon the Movie: The Power of Us is a one-day cinema event that lacks the power it boasts in its title. Pacing issues all over the place, The Power of Us does not do well to ape a similar structure as Pokemon The First Movie, where we open with a short...except The Power of Us then follows with another short...and then inexplicably follows with a long translated interview with longtime director of the animated franchise Kunihiko Yuyama. This is, after we've had advertisements for the Pokemon Magazine, Pokemon Go, and Pokemon Let's Go Pikachu and Eevee. It takes so long to get into the movie it's a wonder people stuck it out. Even as a longtime fan of all things Pokemon, it's a bit much for the cinema. A Blu-Ray release, sure. With all supplementary content relegated to special features. Instead you're given everything including a brief mention of the upcoming Detective Pikachu before you get to the real deal. To Pokemon the Movie: The Power of Us. And if you've seen a Pokemon movie...then you've already seen this movie. Somehow, after twenty years of movies that accompany the anime but aren't necessarily part of the anime series, the formula stays the exact same and somehow it sticks. An adventure parallel to the show in a location never seen or referenced before (at least to this assumption) where there's discussion on the impact of human interactions with Pokemon where it's Ash Ketchum's job to be the best (but not a Pokemon Master) and teach both Pokemon and humans that it's better to peacefully coexist and help each other rather than fight. In a franchise that's partially centred around the fighting of each other's Pokemon. It's the idea of Pokemon The First Movie, and it's the idea of this movie twenty years later. This would be fine if it was confined to just an episode or at maximum, an hour movie, but instead we have 105 minutes that may or may not include the previously mentioned content (it was not timed, but it felt like so much more). 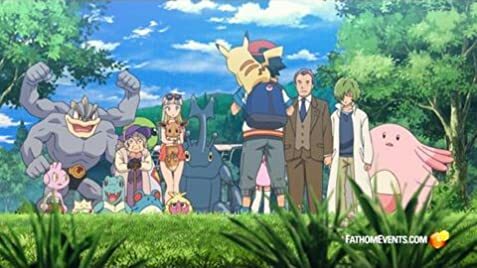 What Pokemon the Movie: The Power of Us nails - other than the brilliant and fun world of Pokemon and the occupants of it - is its character arcs. For the lazy copy/paste themes, there are solid journeys for all of the characters in the movie. They get teased out across the runtime, but they get satisfying conclusions complete with character change. Which is what more movies should have. It's great to see all the various Pokemon gloriously animated and brought to life in the animation style that defined childhoods. Even if the CG enhancements still don't set the world of fire. The Power of Us suffers many sins, and beyond it being safe and samey, a true sin is just how drawn out it is. We know exactly what's coming because it's referenced early on, and then we know what's coming because it's constantly put in our faces with each scene. It gets to a point where you are frustrated in the way that we get it, and are further frustrated because it's taking forever to get from Point A to Point B. The characters introduced in this film and their development doesn't save this film. The pre-roll damaged the film's chances from the beginning, and then the feature did no favours beyond grasping simple effective storytelling. 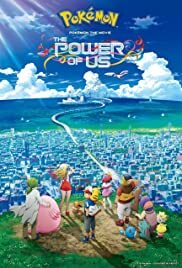 Good for the Pokemon fan, bad for the impatient and young who aren't nerds for movie special features, Pokemon the Movie: The Power of Us offers content that will please some at the cinema, and some more on home video, but it doesn't quite please in general beyond a serviceable anime injection.